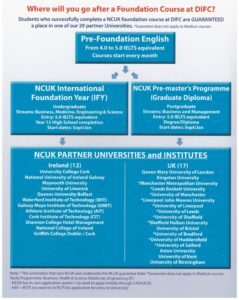 Established in 1999, Dublin International Foundation College offers internationally-recognised university preparation courses at undergraduate and postgraduate level, validated by the Northern Consortium of UK Universities. DIFC is based on the campus of Griffith College in central Dublin, a small yet friendly and warm capital in the Republic of Ireland, known for its vibrant student life and rich cultural, musical and sporting heritage. Dublin is ranked the 2nd best student city in the world for student mix, and 3rd best city in the world to visit in 2016. DIFC’s programmes offer unrivalled standards of quality, giving students a breadth and depth of degree courses to pursue onto. Its partner Universities include some of the most prestigious centres of learning in many of the most exciting cities across Ireland and the UK. Where will you go after a Foundation course at DIFC? 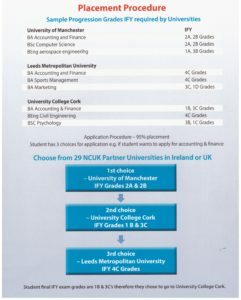 Why Dublin International Foundation College? 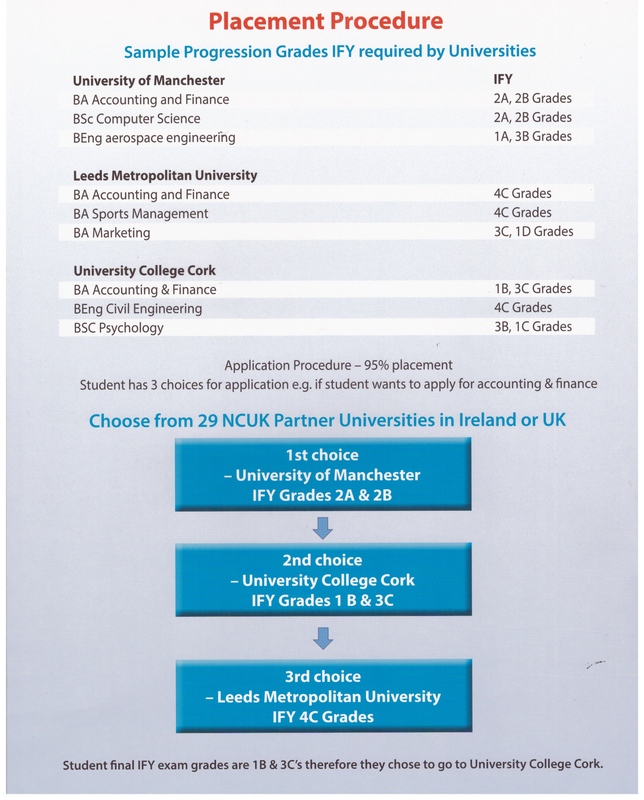 DIFC offers undergraduate and graduate foundation courses as a pathway to universities in Ireland such as University College Cork, National University of Ireland Galway, Maynooth University, University of Limerick, Queens University Belfast, Shannon College Hotel Management, National College of Ireland and Griffith College Dublin/Cork. Universities in UK include Queen Mary University of London, Kingston University, University of Bristol, Aston University, University of Kent and University of Birmingham. Completion of an NCUK-approved course at the College guarantees students a place on a degree course in their chosen field of study. 95% of the Foundation Programme students successfully transferred to a degree course in partner universities. 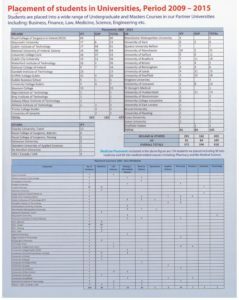 In addition, 80% of the students received their first choice. 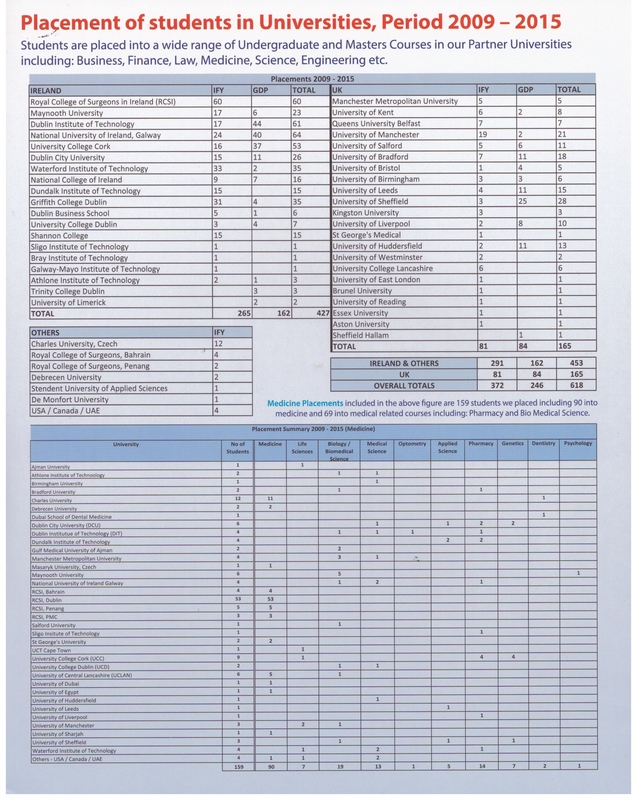 The College offers International Foundation Year (IFY) courses in the field of Sciences, Medicine, Engineering & Technology, and Business & Management. THE NCUK IFY is a modular programme that prepares international students for first-year entry to a wide range of bachelor’s degree courses. Modules are taught by a team of highly qualified teachers and provide students with a basic foundation in their further studies. Similarly, DIFC offers a Graduate Diploma (Pre-Masters) Programme and English Courses for its international students. THE NCUK Pre-Masters Programme provides specialised English for Academic Purpose (EAP) training, learning skills including ICT and an introduction to the research methodology skills needed for success at Masters Level.